CAT Previous Year Papers – Indian Institute of Management conducts the Common Admission Test (CAT) every year for offering admission to the eligible candidate in MBA and other management programs. 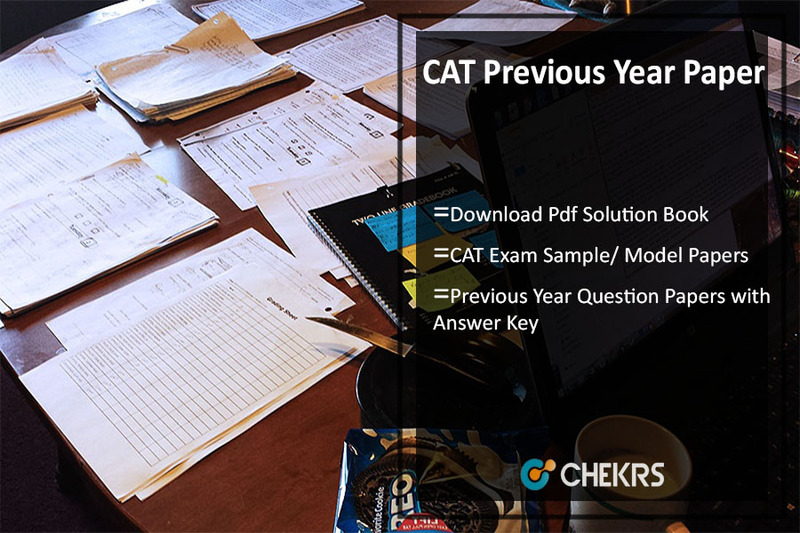 Candidates who want to excel their career in the management field and target to crack the CAT exam must download CAT Solved Papers Pdf and start practicing the questions on regular basis. Papers are given below. Every year huge number of candidates appear for the CAT exam and thus competition is turning out to be quite tough with the passage of time. Therefore solving CAT Exam Previous Year Questions will help the candidates to analyze their preparation level. Here are the old Papers of CAT Exam. Solving CAT Old Question Papers is probably the best and easy way to know about the structure of the exam. Therefore candidates who want to seek a career as Mangement professionals and are preparing for CAT 2018-19 must now go through CAT Sample Paper Book and start solving the questions on regular basis. However only after completing the CAT Syllabus 2018-19, candidates are advised to solve the previous papers and while solving the questions, aspirants must make sure to keep track of the time try to complete the test within 3 hours. The sample papers of CAT Exam is prepared as per the latest syllabus and trends of the exam. Thus solving CAT Model Question Paper will help in boosting the preparation level of the candidate. Solving the previous papers are very useful as sometimes there are chances that IIM CAT Model Questions may appear with the same concept in the exam, just with a different structure. Thus candidates need to solve the previous question papers and accordingly prepare well to crack the exam easily.